Pagham’s plight continues as their tumble down the SCFL Premier standings goes on. The Lions have picked up just one point in seven matches as the Nyetimber Lane side struggle to shake off one of the worst runs in the club’s history. That sorry streak continued last weekend when the Lions were second best to relegation-threatened Little Common, coming out on the wrong side of a 4-1 scoreline. With no game this weekend, the 11th-placed Lions will now look to regroup ahead of a busy Easter period which sees them play East Preston at home on April 20 (3pm) before heading to champions Chichester City on Easter Monday (11am). Pressure has been mounting in joint-managers Tom Simmonds and Richie Hellen. But chairman Tony Shea has stood by the duo so far and seems confident that they will be able to get the Lions back on track in time for the start of next season. Pagham did have a boost before the match against Little Common with the return of Callum Overton to the Lions’ ranks. The frontman’s form was one of the prime reasons for a good start to the season at Nyetimber Lane. 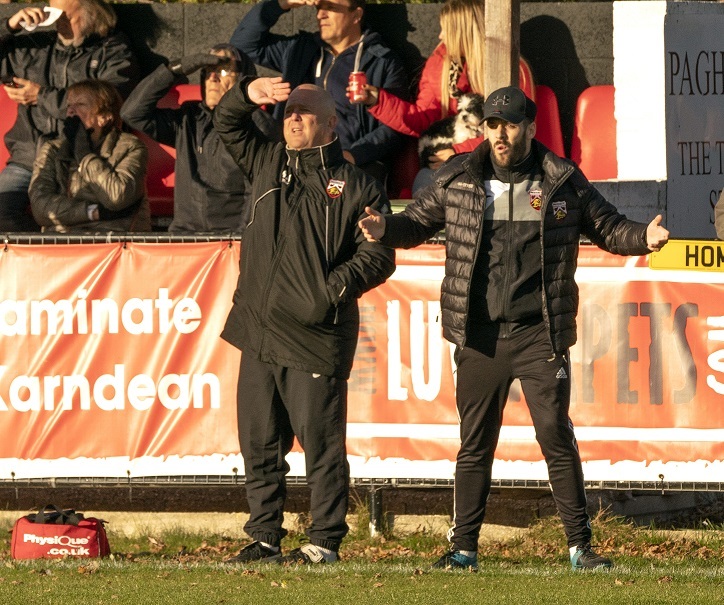 But, his departure to Bostik Premier side Lewes coincided with Pagham falling out of the promotion hunt and starting a poor run which they have never recovered from. Overton netted in the Common loss but the Lions never recovered from three first half goals for the hosts. In SCFL Division One Selsey headed into a week off with a convincing 3-1 away win at Oakwood. Blues made their mark early with Lindon Miller, Ryan Morey and John Phillips netting in the first 20 minutes to seal all three points. Next up for fifth placed Selsey is a home tie against Storrington on April 20 (3pm) before an Easter Monday derby with Sidlesham (11am). Sids are ninth in the standings after falling to a 2-0 loss at league leaders Alfold last weekend.